On Friday, November 9, 2018, Savannah Music Festival (SMF) announces the lineup for its 2019 festival season (March 28 – April 13) with ticket sales starting the same day at 10am. To kick off its 30th festival season, the organization presents Georgia Soul & Blues at the historic Lucas Theatre for the Arts. 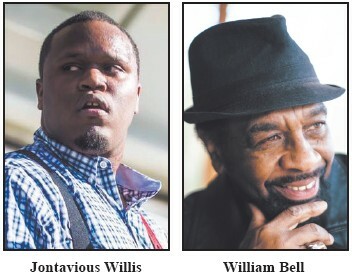 The concert features original soul man and Stax recording artist William Bell and rising star of the blues Jontavious Willis, and is presented in partnership with Explore Georgia. Doors open to the public at 6:30pm and the concert starts at 7:30pm. Tickets to the concert are $30 and are available online at savannahmusicfestival.org, by phone at 912.525.5050 and in-person at the Savannah Box Office at 216 E. Broughton Street. William Bell has enjoyed a distinguished career as a singer, songwriter and producer since his 1961 solo debut for Stax Records. He co-wrote the blues classic “Born Under a Bad Sign,” which was later made popular by both Albert King and Cream. In the decades since, his songs have been recorded by a variety of artists including Linda Ronstadt, Rod Stewart and Etta James. Tickets to all performances in the 2019 festival go on sale November 9, at 10:00am Eastern, and will also be available online at savannahmusicfestival.org, by phone at 912.525.5050 and in-person at the Savannah Box Office at 216 E. Broughton Street.